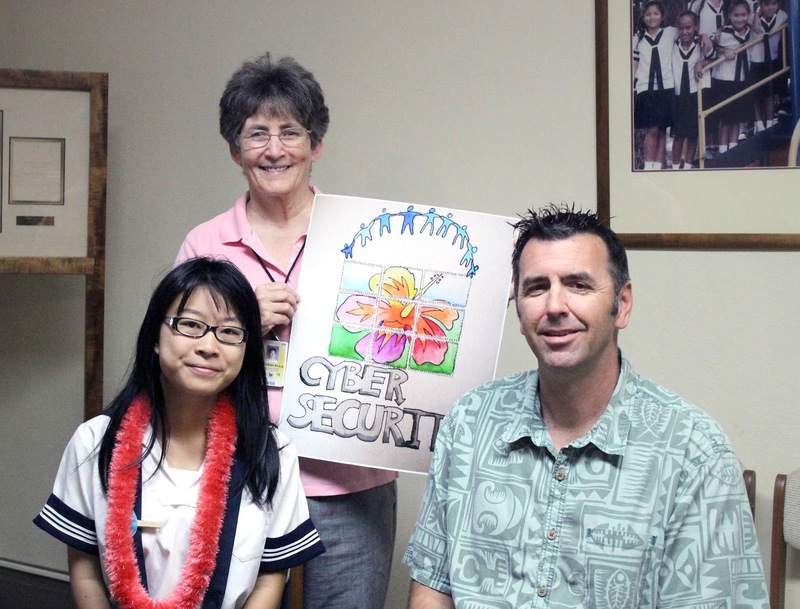 Cyber Hui recently sponsored a logo design contest, seeking a design to represent Cyber Hui while incorporating components of Cyber Security, Hui, and Hawaii. Sacred Hearts Academy junior, Weiyi Chloe Huang’s winning logo design will be used to promote Cyber Hui on their website, social media sites and presentations. Mike Herr, co-founder of Cyber Hui joined Tuesday's Flag Ceremony to announce that Chloe's design was the winning design and presented her with the $200 Amazon gift card prize.